Google and Verizon are working on a tablet computer in hopes of competing with Apple's iPad, the Wall Street Journal reported Tuesday. Few other details are available. The Wall Street Journal said Verizon Wireless CEO Lowell McAdam mentioned the tablet during an interview. 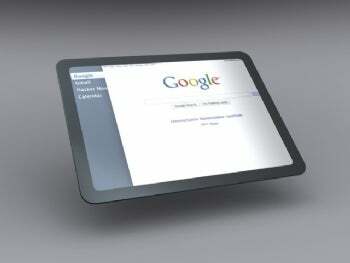 Conceptual images for what a Chrome OS-based tablet computer user interface might look like. Taken from Google's open source Chromium Projects site. Verizon did not reply to an IDG News Service request for comment, and Google said it had nothing to announce. The tablet presumably would run Google's Android mobile-phone operating system, which can be -- and already has been -- used to run a tablet. Archos offers a small Android tablet, and evidence of of Android tablets from HP ('Hurricane' Slate) and Dell (Looking Glass) have circulated in recent months. More: The Google Android Tablet: Coming Soon? AT&T currently has the exclusive carrier deal for the popular iPad tablet in the U.S. Verizon may hope that a tablet created in partnership with Google could compete with the iPad. Verizon has said it is interested in carrying Apple's popular iPhone, but so far AT&T continues to hold an exclusive grip on the phone in the U.S. When Verizon launched the Motorola Droid, running Android, it positioned it as a competitor to the iPhone. Selling an Android-powered tablet may be an extension of that strategy. 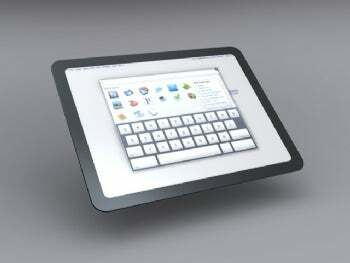 Apple said it sold 1 million iPads in the first 28 days the device was available. That sales figure, however, almost exclusively accounts for the Wi-Fi-only version of the device, since the 3G version became available only on the final day of that period. Apple has not yet said how many of the 3G versions have sold since they went on sale April 30. Another possibility: In January 2010, Verizon used the ICD's Ultra tablet (7-inch sceen, Tegra 2 processor, Android OS) to test its 4G LTE wireless network. It's likely (though not confirmed) that the device will arrive later this year for no more than $250.